Happy New Year! I hope everyone had a wonderful Christmas. We actually got our upstairs finally painted after only living here for 6 years. :-) Time to get back to finding deals to share. Thanks, Pinching Your Pennies for emailing me these great deals! Check out their website or sign up for their email for more bargains! ShopatHome.com or EBATES are a great way to get money back on your purchases. I love both! Many of the following stores are on ShopatHome or Ebates! If you are new to these cashback programs, you get $5 just for signing up plus sign up is FREE! Good Cook Cast Iron Skillet, 10"
Free Shipping on $99. No code required. *Now $7! * BakerEze 9-Piece Holiday Cookie Pan Set $10! CUTE Jellypop Boots only $19.50 Shipped! *HOT* Designer Shoes - Rialto - $15 shipped!!! Take a holiday from the holidays. It's The Holiday-Recovery Sale with vacation packages starting from $99* per person, based on double occupancy. On sale now - through 1/4/12 11:59pm ET. Travel dates vary by city pair. 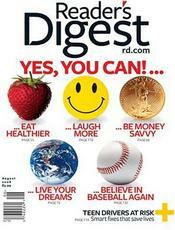 Reader's Digest - $4 /year - Up to 3 Years! Get a free 144 Piece Eye Shadow Palette from e.l.f. cosmetics when you spend $25 or more. Use code COLORS now through 1/9. Burt's Bees Red Dahlia Tinted Lip Balm with Fig Lip Shimmer Combo $6 shipped! *currently $29.99 at other online retailers without bonus figurine. 6pm Deals! Free shipping! Nike, Florsheim, Footzyrolls, more! 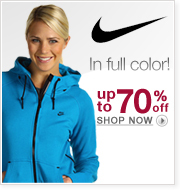 Nike up to 70% off! 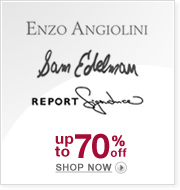 Enzo Angiolini, Sam Edelman and Report Signature up to 70% off! Footzyrolls up to 70% off! Florsheim up to 40% off! Men's boot sale select styles Under $99.99! Trend Alert = Booties select styles $50 or less! 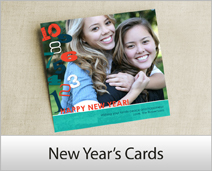 FREE Cardstore.com Greeting Card - Just choose your card and use code MCSFREE112 at checkout to make it FREE. Expires 1/31. FREE $10 Kindle E-Textbook Credit - Before making a purchase, click the "Enter Your Code" button and use code: ETXTBOOK to apply the credit to your account. You must redeem the credit by 11:59 p.m. PST on January 9, 2012. Limit one credit per customer. On January 14, 2012, IKEA will be hosting Bring Your Own Friends event at IKEA stores across USA. RSVP to get a coupon for a FREE small breakfast before 11AM, a FREE blue tote bag, and BOGO FREE entree between 11am-4pm. They're also going to be doing gift card giveaways and more. FREE Red Bull Sugarfree 4-Pack Click on the Go Forth For a 4-Pack button and fill out the form. Many Target stores have Market Pantry Boxed Macaroni & Cheese for $.42-$.59. Use this $1/1 Market Pantry Boxed Macaroni & Cheese Target print coupon to make it FREE after coupon. Walgreens has bottles of Studio 35 Nail Polish Remover priced at $1 each. Use the $1/1 coupon found in the Walgreens January 2012 Coupon Book to get it FREE after coupon. 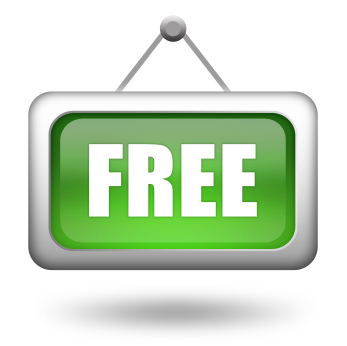 My Simpler Life has a free Declutter and Organize Calendar available for 2012. This calendar has "short, weekly tips on saving time, taking care of yourself, relaxing ideas, organizing tips, and ways to create a saner, simpler life." 5 Free Pounds of Document Shredding from OfficeDepot. Coupon Valid until January 28, 2012. Link opens as a .pdf file. Bring this coupon to your participating Benjamin Moore store and receive1 FREE 2 OZ. COLOR SAMPLE. Offer good only at participating retailers. Limit one per customer. Offer expires January 31, 2012. Free Shipping on $25. No code required. Philips 4GB GoGear RaGa MP3 Player bundled with armband $40! Dynex - 32" Class / LCD / 1080p / 60Hz / HDTV $266 shipped! Mens Diabetic Sock with Gel Heel: 4-pack $13 shipped!